You have a powerful weapon that often goes unused – the power of prayer! Whether you feel defeated or happy, talking to God about your children invites God to work in your home everyday. 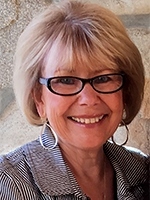 I interviewed my friend, founder of Moms in Prayer, Fern Nichols for my book Parents Rising. We can raise godly kids in an ungodly world. In 1984, with two kids going off to junior high, Fern started praying for her kids and their school with another mom. The ministry Moms in Prayer was born, and now there are moms praying in all 50 states and more than 145 countries! Fern and her husband Rle have 4 grown children and 10 grandchildren. 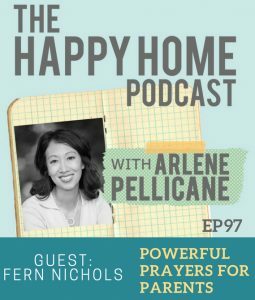 Fern is a speaker and author of many books including Mom’s Little Book of Powerful Prayers which I love to use. Learn more about joining a Moms in Prayer group here.